A better way for people who live in areas of significant flood risk to insure their homes. More than 5.2 million properties in England and Wales are at risk of flooding from surface, groundwater, river or coastal flooding, according to the Environment Agency. And over 200,000 properties are in areas "at significant risk" of floods. These homes were in danger of becoming uninsurable, but following the launch of Flood Re in April 2016 insurers can now cover high-risk homes with more affordable premiums. While Flood Re has helped limit rising home insurance costs, people in flood areas still face higher premiums than elsewhere in the UK so we've negotiated an exclusive deal for all Bought By Many members. We have shopped around on your behalf to source an insurance provider that specialises in flood risk insurance and negotiated cashback for members of this home insurance for flood risk areas group. 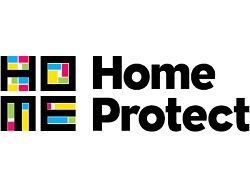 The insurance provider we are working with, HomeProtect, is offering policies using Flood Re, so our members can get both the benefits of our cashback deal and the Flood Re savings. To find out more and to get a quote, join this group. You can read our in-depth guide to how Flood Re works here. However you can still get your Bought By Many member cashback by calling 0330 660 3611 - our dedicated line for this exclusive Bought by Many deal. Please reference “Bought By Many Cashback Offer” when you call. What does "significant" risk of flood mean? The Environment Agency classifies a property as being at "significant" risk of flood if the probability of the property being flooded in any given year is greater than 1 in 75. This classification applies to 200,000 homes - around 1.3% of the houses in the UK. Another 5m properties are at some risk of flooding from the sea, rivers, or surface water. What's the problem with not being able to get home insurance? Not having insurance makes it very difficult to arrange a mortgage on a property, as most lenders insist on owners putting insurance in place as a condition of granting a mortgage. A knock-on effect of this is that properties which are uninsurable become much more difficult to sell, because prospective buyers are unlikely to be able to borrow money to make the purchase. And of course there is the obvious issue that not having insurance means you have to carry all the financial risk associated with your home being burgled, damaged, or destroyed yourself. Where can I find out more about Flood Re? We've written a guide to Flood Re and how it helps you to save money on your home insurance which you can read here. Flood Re is the new government scheme that aims to ensure affordable home insurance for people in Flood Risk areas. Our group operates with HomeProtect who are part of the Flood Re scheme and our offer is in addition to the savings that Flood Re provides.